Calypso music is an integral part of Trinidad's national identity. When, for instance, Franklin D. Roosevelt asked the great Trinidadian musician Roaring, Lion where he was from, Lion famously replied "the land of calypso." But in a nation as diverse as Trinidad, why is it that calypso has emerged as the emblematic music? In "Governing Sound", Jocelyne Guilbault examines the conditions that have enabled calypso to be valorized, contested, and targeted as a field of cultural politics in Trinidad. The prominence of calypso, Guilbault argues, is uniquely enmeshed in projects of governing and in competing imaginations of nation, race, and diaspora. During the colonial regime, the period of national independence, and recent decades of neoliberal transformation, calypso and its musical offshoots have enabled new cultural formations while simultaneously excluding specific social expressions, political articulations, and artistic traditions. Drawing on over a decade of ethnographic work, Guilbault maps the musical journeys of Trinidad's most prominent musicians and arrangers and explains the distinct ways their musical sensibilities became audibly entangled with modes of governing, audience demands, and market incentives. 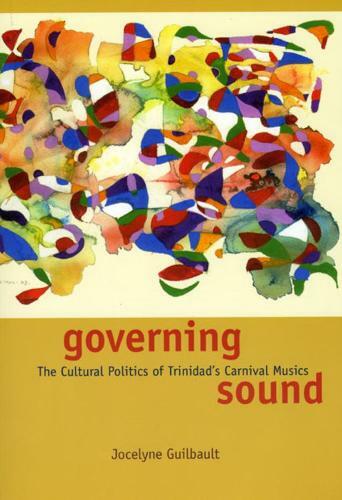 Generously illustrated and complete with an accompanying CD, "Governing Sound" constitutes the most comprehensive study to date of Trinidad's carnival musics.